It was a pleasure meeting all of you, thanks for visiting! 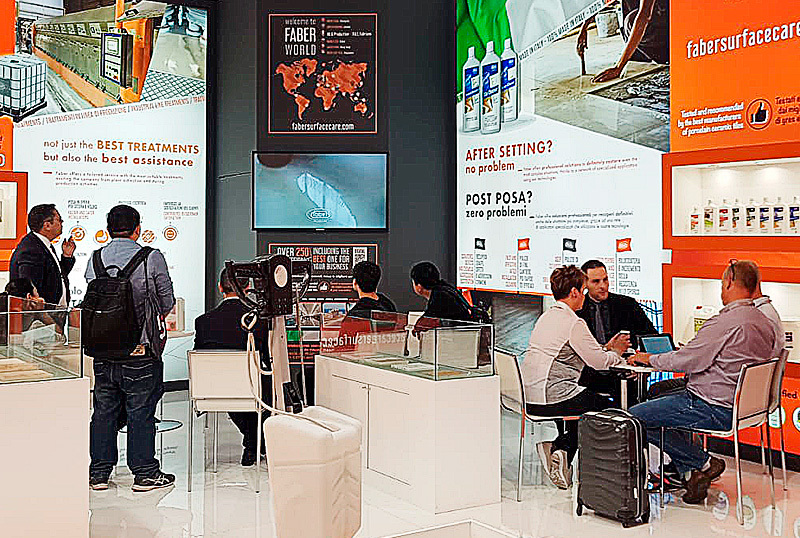 Faber quality has involved many professionals, passionate and curious visitors during the three Italian exhibitions: CERSAIE, TECNARGILLA, and MARMOMAC! Our response to your interest will always remain the same: maximum attention and passion in providing products and assistance of the highest quality, certain that your surfaces will continue to tell our successes! During Cersaie (from 24th to 28th September) we had shown the best solutions for cleaning and maintenance of porcelain ceramic tiles. In Tecnargilla (September, from 24th to 28th), we presented the most performing treatment for industrial line application for the ceramic industry. During Marmomac (September, from 26th to 29th), our protective and polishing stone treatments was the protagonist of the event.